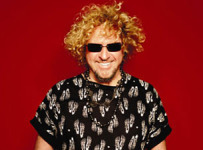 It’s the best from the hair bands of the 80’s and people all over the world tune in to hear at www.957thefox.com! GNR, Motley Crue, Def Lep, Tesla, Vixen, Warrant, Skid Row and more! Click here to vote for The “Outlaw 80’s at 8” songs you want to hear with FOX ON DEMAND every weeknight at 8p!